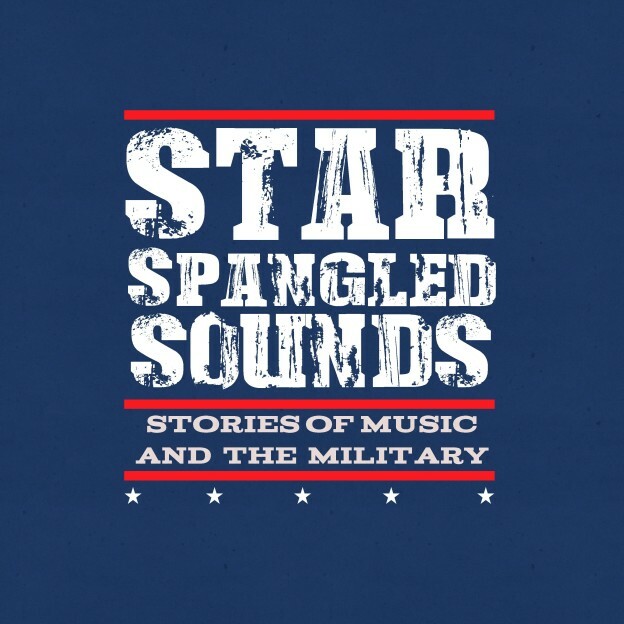 With the support of our presenting sponsor, the City of Shelby and our Premium Sponsors Carter Chevrolet and HomeTrust Bank, the Earl Scruggs Center is proud to present “Star Spangled Sounds: Stories of Music and the Military”. The Earl Scruggs Center’s newest special exhibit reminds us of the service and sacrifice of our US Military and the important role of music across many facets of all branches. Upon hearing ‘The Star-Spangled Banner’, Americans rise, remove their hats, and place their hands on their hearts. Some sing, some remain silent, and all face the flag. The National Anthem evokes powerful emotions such as pride, honor, and appreciation, affecting people in different ways for different reasons. Our patriotic call to honor is a compelling example of how music can inspire an emotional response and move us to action. The United States military, throughout its life, has embraced the use of music. From the drum calls of the Civil War, to a poignant performance of Taps, to entertainment offered by the USO, music has been and continues to be a tool used by all branches of the United States military to communicate, honor, unite, remember, and, more recently, to heal. And our Premium Sponsors: Carter Chevrolet and HomeTrust Bank. Posted on Friday, June 3, 2016 .